It is imperative to know how to make a superior artist canvas in order to make a superior printable canvas. Fredrix® is the world’s premier manufacturer of fine quality canvas products. Made in the USA with 150 years of experience, we manufacture a complete range of canvases for printing and painting. Fredrix® archival print canvas features the same superior quality that is found with our renowned Fredrix® artist canvas. Coating that boasts brilliant colors and Dmax! Formulated with an ink receptive coating that boasts brilliant colors and Dmax. The easily top coated surface and medium texture are perfectly suited for Fine Art reproductions, Giclees and more! Fredrix is proud to be part of the Media Certification Program for HP Latex Inks and to offer our customers media that has been performance certified to take full advantage of its versatility and to provide peace-of-mind with third-party testing and certification done by an approved external agency. 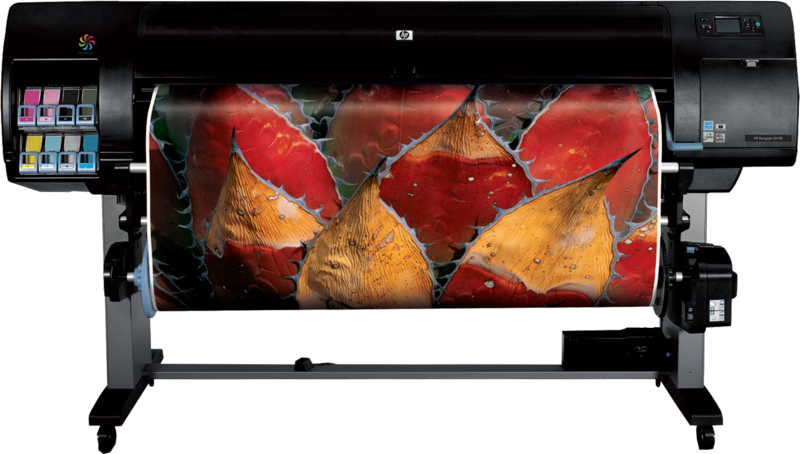 Compatible with Heidelberg®, Karat®, and other 4/6-color off-set presses. A fine, quality Polyflax/cotton Canvas faced-coated for lithographic printing inks, and back-coated to reduce lint buildup on printing blankets, minimize pickoff, aid in more consistent printer feed and to provide better print yield. Each sheet is individual inspected under special lighting to ensure print quality! Fine quality canvas for serigraph reproduction made of Fredrix Ultrasmooth Polyflax cotton or medium texture 901 Polyflax/Cotton. Excellent lay-flat characteristics and stable for multiple impress. ..add our clear Fredrix® Texture Gel and use acrylic or oil paints to enhance or highlight their prints! A vast majority of prints are sold without any additional enhancements or texturizing. However, some publishers and artists add our clear Fredrix® Texture Gel and use acrylic or oil paints to enhance or highlight their prints. Through the use of different application techniques or by doing multiple coats you can vary the amount of texture and effect. LOOKING FOR TECHNICAL INFORMATION ? along with other information here! Our canvas is woven and coated to custom specifications using the highest quality raw materials available, it is not bleached or added harmful chemicals. Fredrix is primed in the USA under strict supervision and precise quality standards, our acrylic gesso is formulated using 100% virgin acrylics unlike many competitors use vinyl acrylic and poor quality fillers. We scour the globe for the finest materials available to make our canvas. Every canvas is primed in America with impeccable craftsmanship. Fredrix proudly manufactures over three dozen styles of roll canvas, in over 175 different sizes, ensuring the perfect surface for every artist, project and occasion. 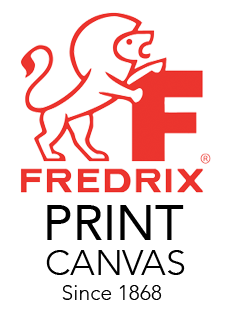 Fredrix was founded in 1868 by E.H. Friedrichs, he was a businessman, a chemist, and inventor, and he was the first American to manufacture artist canvas for the trade. Although the art of manufacturing artist canvas has changed since the 1800’s , the product we make today is very similar to the canvas we made over 100 years ago. WANT TO KNOW MORE ABOUT OUR CANVAS?